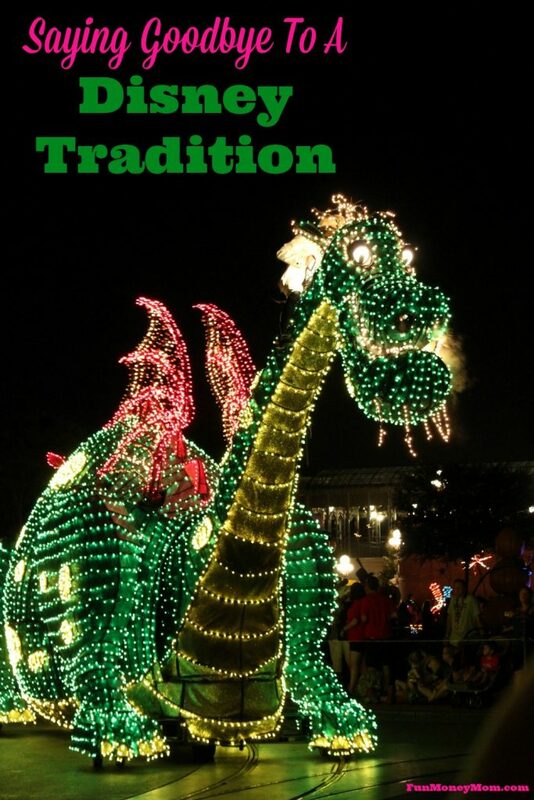 Do you have a favorite Disney tradition? 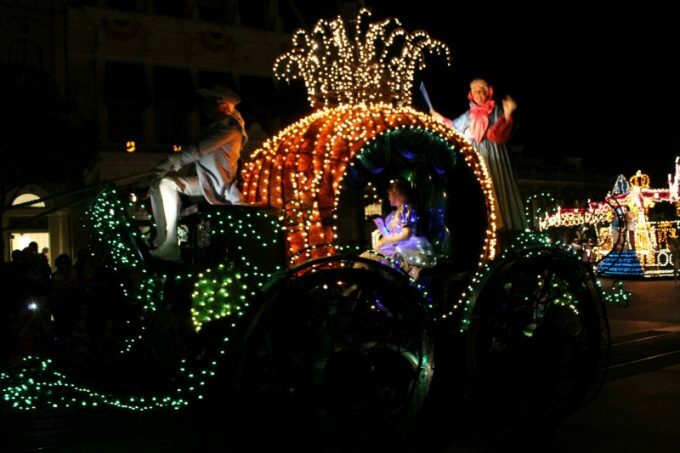 One of my all time favorites, the Main Street Electrical Parade, is coming to an end. We had to see it one last time. 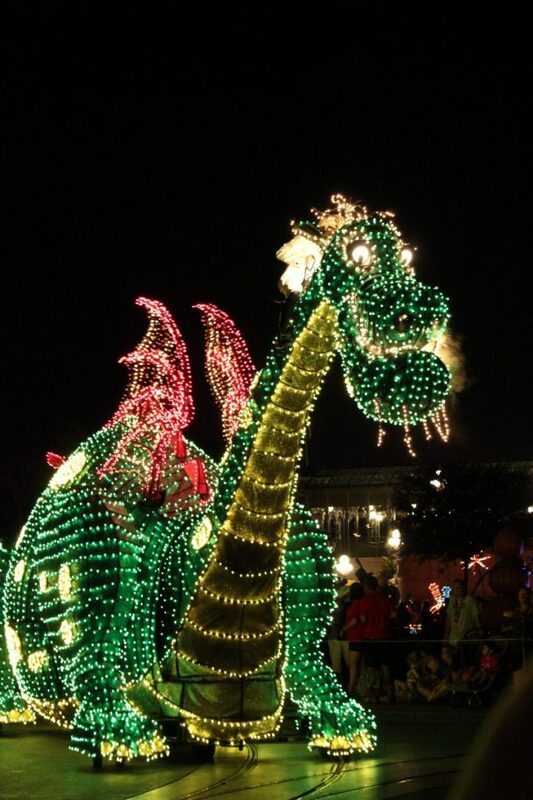 Thank you to Disney for inviting me and my family to enjoy the Main Street Electrical Parade one last time! 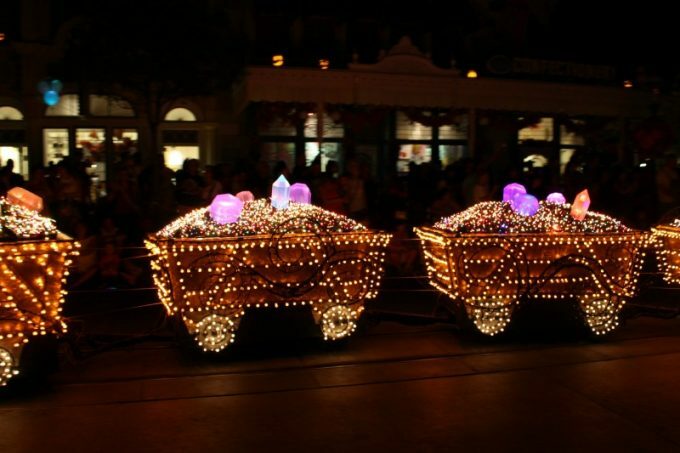 Recently I found out that one of my favorite Disney traditions, the Main Street Electrical Parade at Disney World, was coming to an end. My girls and I decided that we needed to make the trip to see it one last time! Not that we need any excuse to visit Disney World, but this seemed like a pretty good reason and we had to be quick because the last day to see it is October 9th. 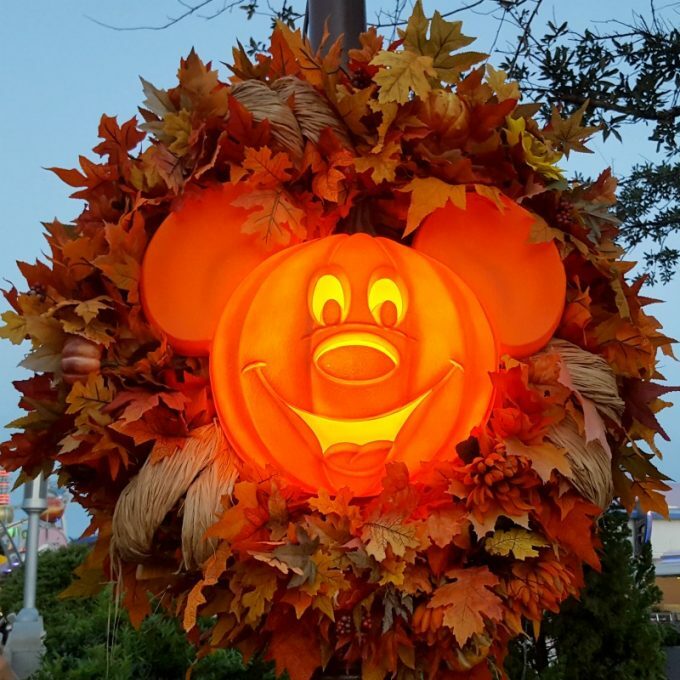 We hadn’t been to Disney since they’d decorated the Magic Kingdom for fall. Disney doesn’t do anything small and they went all out as usual. 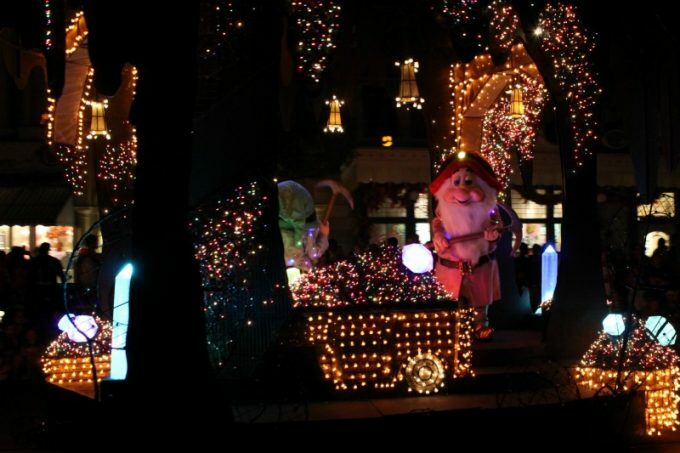 The park looked so festive! We started the day with Mickey’s Royal Friendship Faire. We hadn’t seen it before but as we walked towards the show, little Keira spotted Tiana (one of her favorites) and couldn’t get to the castle fast enough. 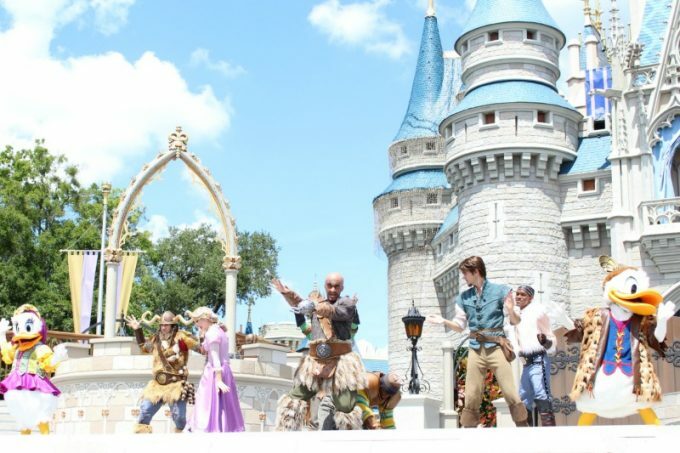 The excitement built when Rapunzel came out with Flynn and the guys from the Snuggly Duckling. We’d just spent the morning singing the Tangled soundtrack in the car so it was fun to see all the characters in person. 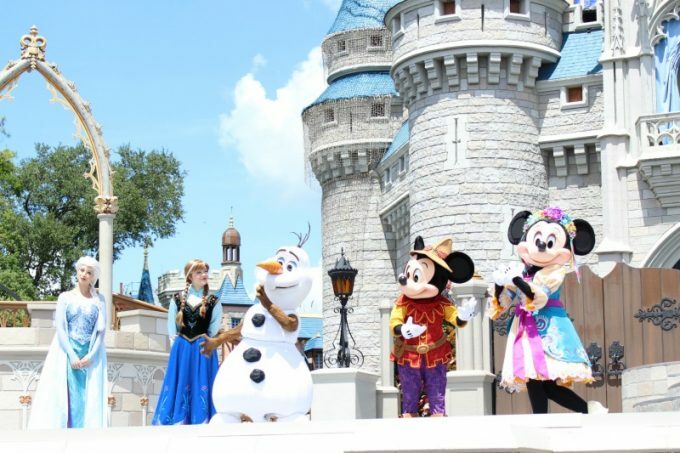 The grand finale was Anna and Elsa, with their friend Olaf of course. All the little girls in the crowd were beyond excited, including my own. Who doesn’t love the Frozen princesses?! Then we checked out some of our favorite attractions. Enchanted Tales With Belle is another favorite Disney tradition so we made that our very first stop. If you’ve never done this, you are missing out. The kids all “dress up” and act out the story of Beauty And The Beast. 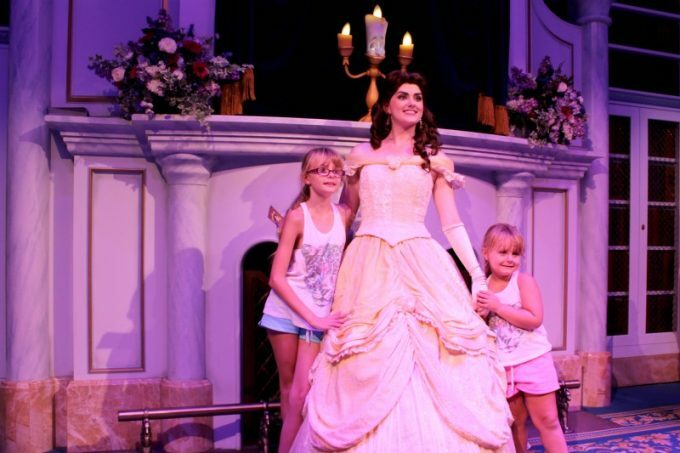 Plus, if you don’t feel like waiting in line to meet a princess, the children have their pictures taken with Belle at the end of the story. It’s so cute and there have been days when we’ve done it four times in a row (when my girls wanted to play specific parts). Last time we were there, Keira got the coveted role as Beast! One of the reasons my girls LOVE playing Beast is because “he” dances with Belle at the end. We rode rides, ate ice cream and stopped for drinks, though stopping for drinks means something totally different when you’ve got the kids with you! I promise this was not staged. 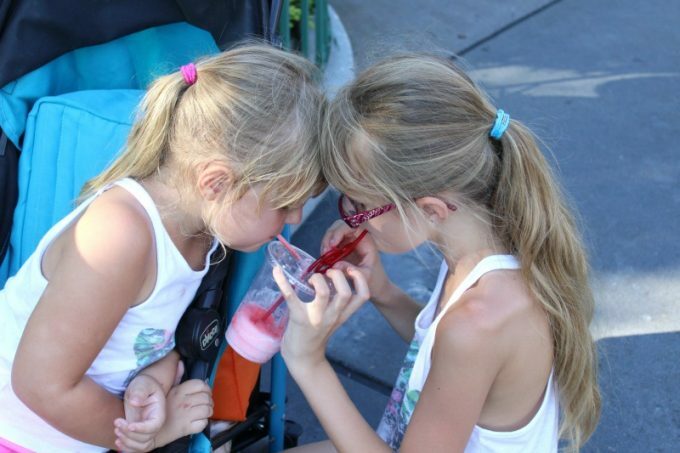 The girls didn’t even realize they were channeling Lady and the Tramp until I pointed it out. After squeezing in as many rides as we possibly could, we stopped to watch the fireworks and Disney’s Celebrate The Magic show. 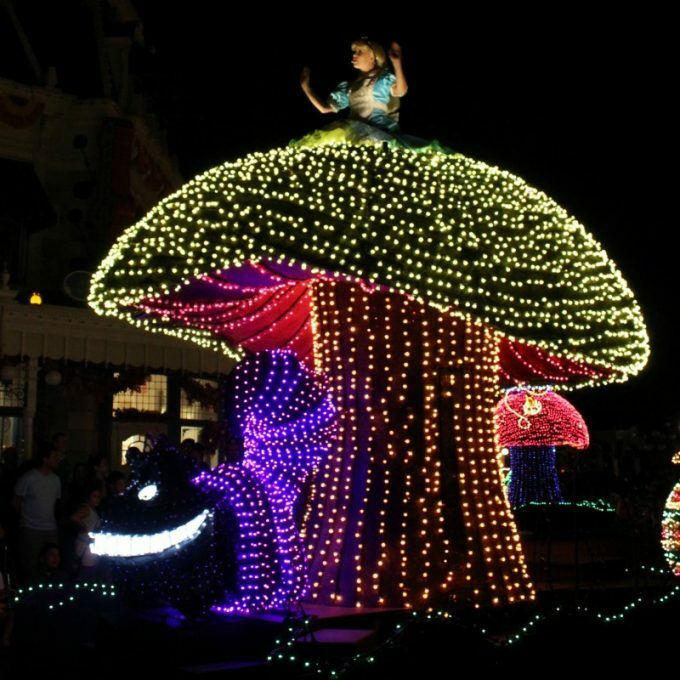 Finally it was time for the Electrical Parade. Tip: If you’re planning to leave right after any of the nighttime shows, watch them from as close to the entrance as possible. That way you’ll be one of the first out of the gates and you’ll be ahead of the crowds. We snagged a spot and soon the lights were heading our way. 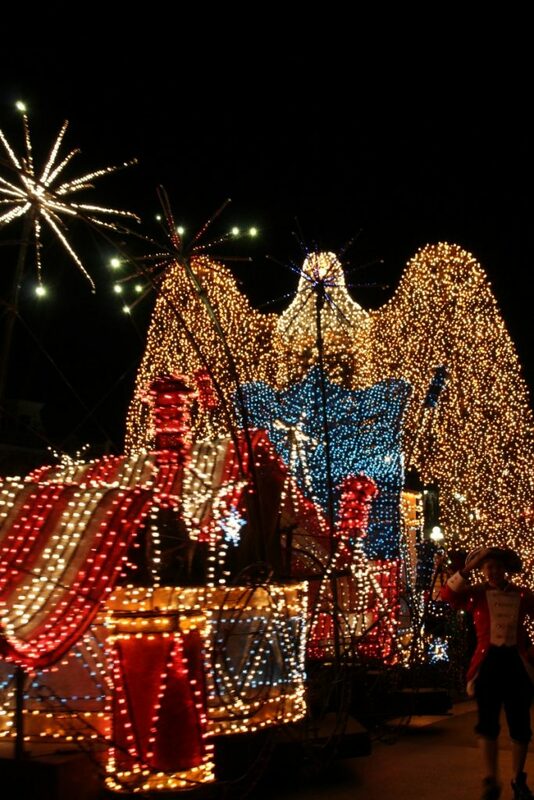 If you’ve never seen the Electrical Parade, there really is nothing like it. While I’m sad to see it go, there’s good news for those of you out west. 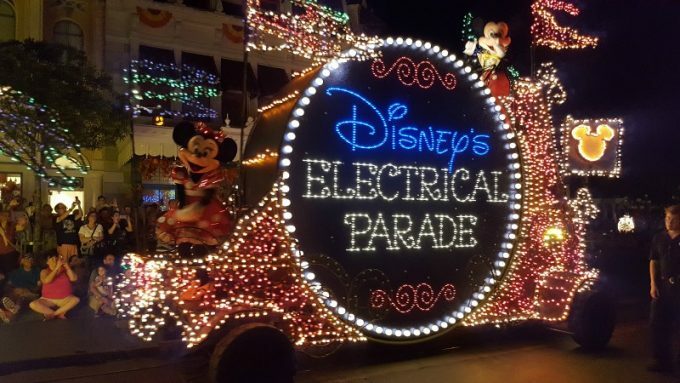 Once it leaves the Magic Kingdom on October 9th, the Main Street Electrical Parade will be heading to Disneyland for a limited run. You’ll definitely want to check it out if you can! 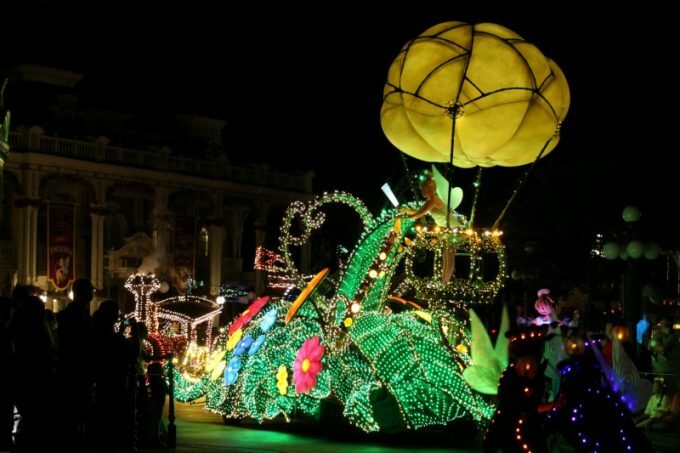 Have you ever seen the Main Street Electrical Parade? Do you plan to see it before it’s gone? 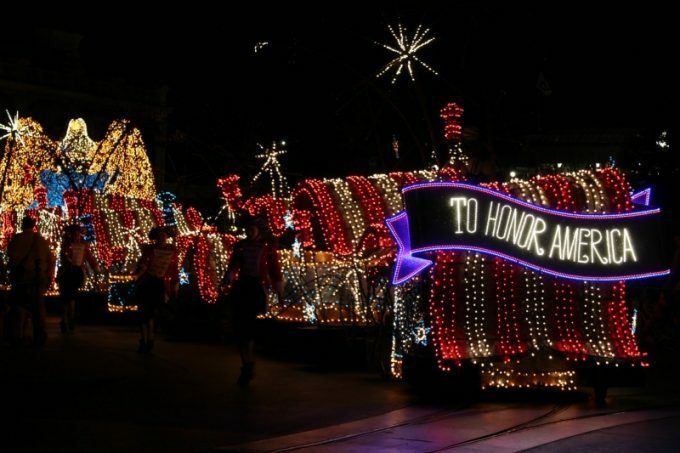 Feel free to share your favorite Disney tradition in the comments. So glad we got to see this last year. Sad to see other go. I know, me too! I’m sure Disney has something pretty awesome planned to replace it though! This Parade looks like a lot of fun. The whole day does, actually. 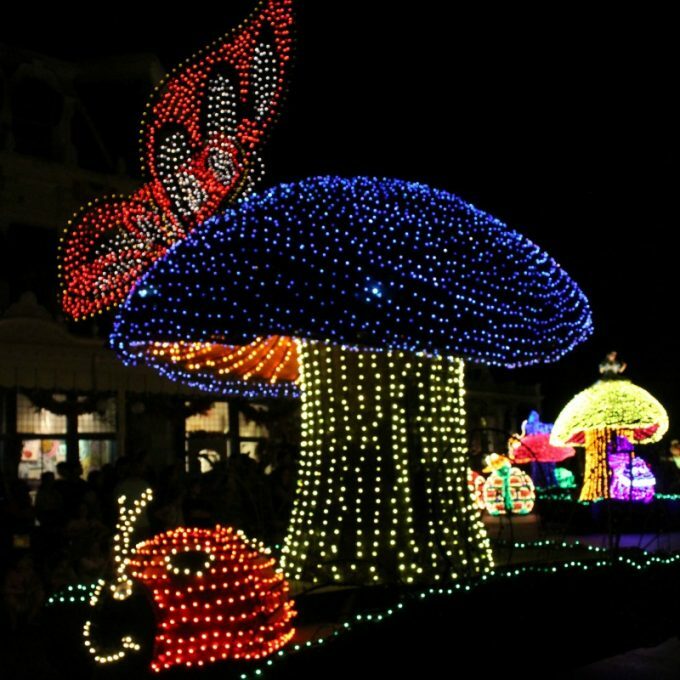 I have never been to Disney World, but have fond memories of Disneyland in CA. Visiting via your Sunday Link up. I love your blog! Thanks so much Bibi! 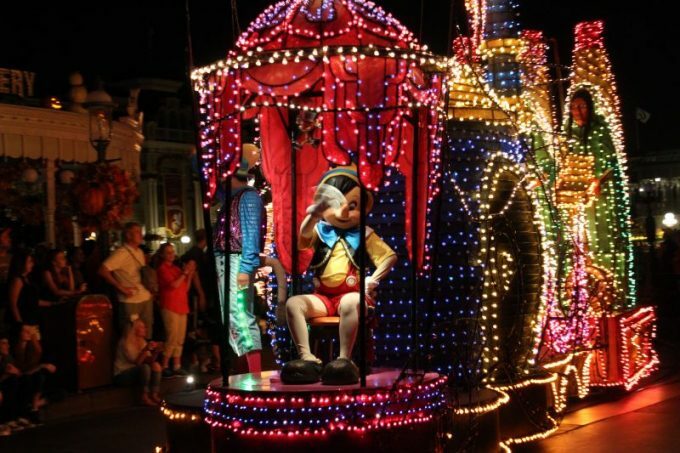 Disneyland is so much fun too but you’ll have to plan a trip to Disney World…there’s nothing quite like it. We’d go every weekend if we could!